The Cornerstone Devotions for Teachers: Join the focus group for the new devotions book! Join the focus group for the new devotions book! 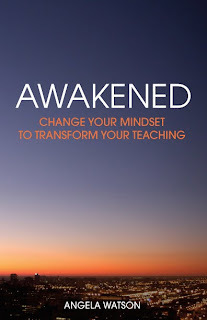 My intent when writing Awakened: Change Your Mindset to Transform Your Teaching was to later write an accompanying workbook and study guide for Christian teachers. 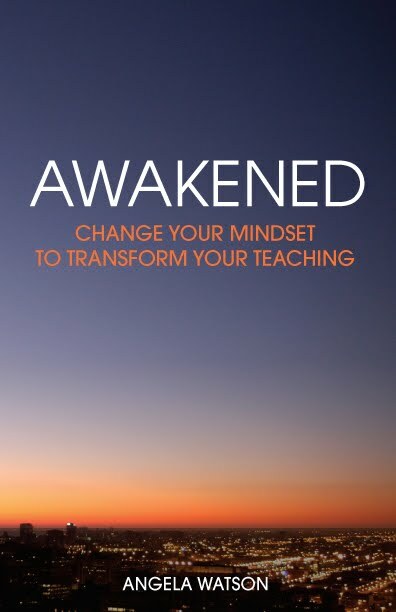 Awakened was written for all teachers, regardless of their faith or lack thereof. But there are countless Biblical truths at its core. The new upcoming devotional is the book behind the book. Designed to deepen Christian teachers' understanding of the principles in Awakened, the devotional and study guide elaborates on what God's word has to say about renewing our minds. For each Awakened chapter, this guide provides an opening reflection, five paragraph devotional, further scripture reading, application questions, "to do" challenge, and a prayer that invites God to help you in applying the principles to your life. And I'm excited to announce that the devotions book is almost ready to go to print. I really want this book to be a practical tool for teachers to use in personal transformation, and for that reason, I need a focus group of educators to test out the book out prior to its publication. And who better to invite than those of you who have been following this devotional blog and sharing the journey with me? Here's how it's going to work: I'm setting up a private blog which only invited members will have access to. It's a 25 day commitment: each day (Monday-Friday) from April 23-May 25, I will post one of the devotions. Focus group members will read it anytime on that day and leave feedback in the comments. If you've not read Awakened, I'll provide you with an eBook copy, and you'll also need to read the corresponding chapter in that book. Reading Awakened will take 10-15 minutes (or a quick 5 minute skim if you've already read the book), and completing the devotional will take 10-20 minutes (more if you want to really delve in to the application questions.) Leaving a comment with your feedback might take 5 minutes. So, you're looking at a daily weekday commitment of 20-60 minutes spent in quiet time with the Lord and devotions. This might be the perfect structure if you have been wanting to be more disciplined in your Bible study time, and if you would benefit from being part of a community of Christian educators who are committed to studying with you and counting on your participation. It will also be good for those who are struggling to maintain their enthusiasm and a positive attitude in these last few weeks of school. There are a couple of other things you'll get for your efforts. I'll include your name on a page in the beginning of the book crediting you for participating in the focus group. You'll also get a free signed copy of the book as soon as it's published. I will caution you that the devotions are deep: they're not something you can just skim over while your students are doing morning work. This book is about equipping you for transformational change. It's for tearing down strongholds and breaking through destructive patterns you've been trapped in for years. When you finish this book, with God's help, you can have a complete renewal of your mind. And anything of that magnitude takes work. If you're not used to having a few minutes of quiet time alone with God on a regular basis, it will be an adjustment for sure. But I guarantee that it will deepen and change your relationship with Him forever. And that will change everything else. Ready to start the journey? Apply to be in the focus group by filling out this form. I'm not sure yet how many people will be in the group--if there is a small number of applicants, I'll probably take everyone. If it's a larger group, I may just take 10 or 15. Preference will go to those whom I have developed a relationship with over the years: people who have commented, emailed, etc. and therefore people whose character and heart I already know a bit about. I'll let you know by Friday, April 20, whether you've been selected to participate and put up a sample devotion for that weekend so everyone can "practice" before we get rolling on Monday April 23. Whether you offer to participate in the focus group or not, I truly thank you for coming along on this journey with me. So many of you covered Awakened in prayer and the transformation stories I have read from Christians and non-Christians alike have touched my heart deeply. I would be so blessed if you would join me in praying for this devotional! Ask that God gives me wisdom and discernment about the wording and format, and that He would speak through this focus group so I can sharpen the message He wants to send. Ultimately, please pray that the truth of His word and the beauty of His heart is what ultimately shines through so that Christian educators will be encouraged and equipped to fulfill God's great purpose for them. APPLICATIONS TO BE IN THE FOCUS GROUP ARE NOW CLOSED. PLEASE CHECK YOUR SPAM FILTER/JUNK MAIL. I tried to enroll and it is doing the same thing to me. Please let me know when it is fixed. I would love to do this! It worked for me with the Yes/No selection. I would really like to be a part of the group! Hi Angela, I really like the fact that you are encouraging Christian teachers at your blog and on Facebook.